I took these pictures by walking up and down Page Mill Road during my trip to Palo Alto in early June, 2007. Unlike other companies with huge fancy signs, the main HP sign is small and non-obtrusive. One could easily drive past the headquarters and never know it was there. 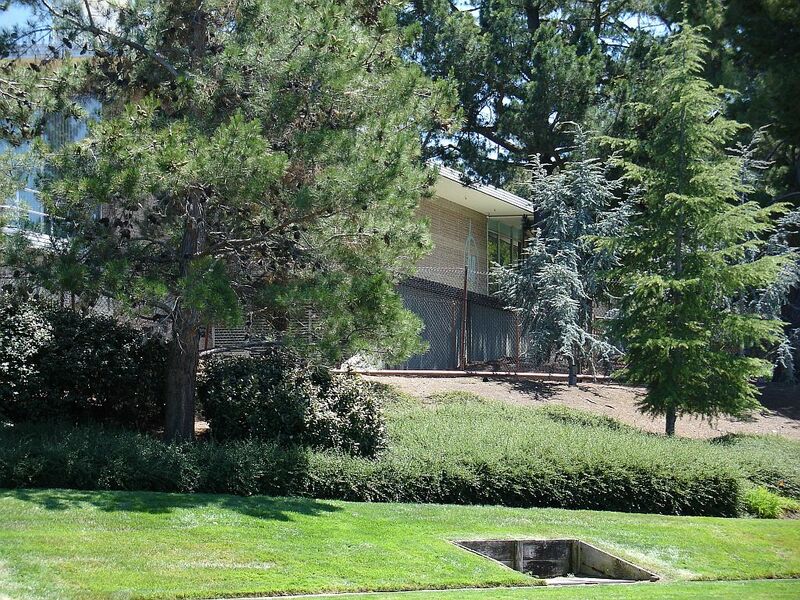 The building complex is huge but it is so well built into the hill with trees that it is almost invisible from the road. 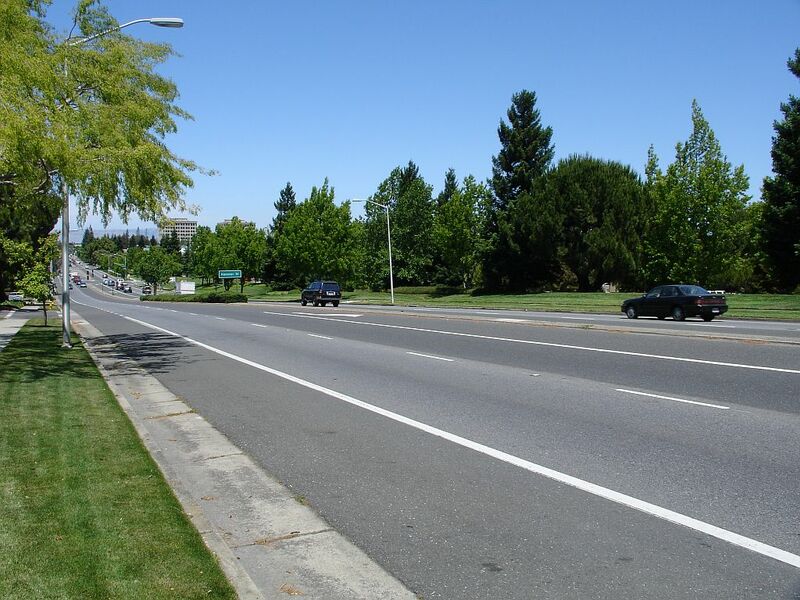 Thus, most of what you will see in the following pictures are the road and trees. Page Mill Road runs Northeast. 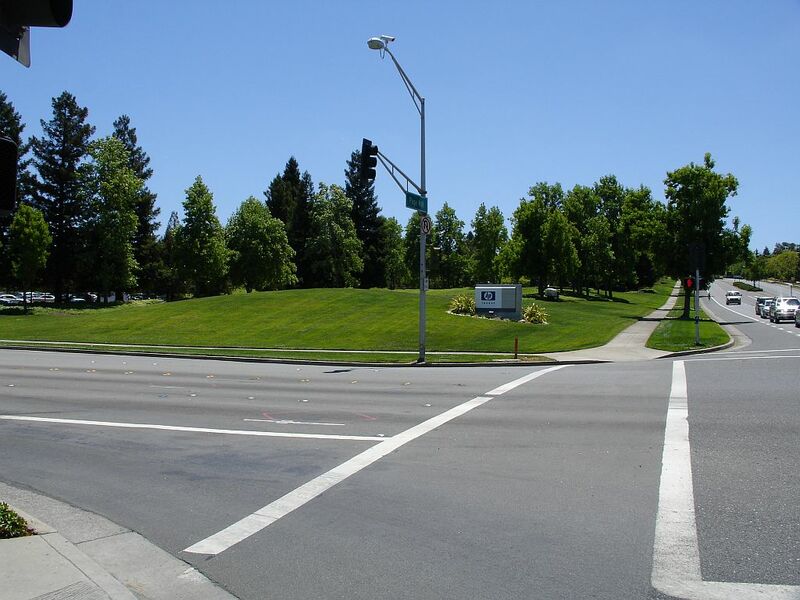 The first HP locations were just north of the intersection with El Camino Real (Highway 82). 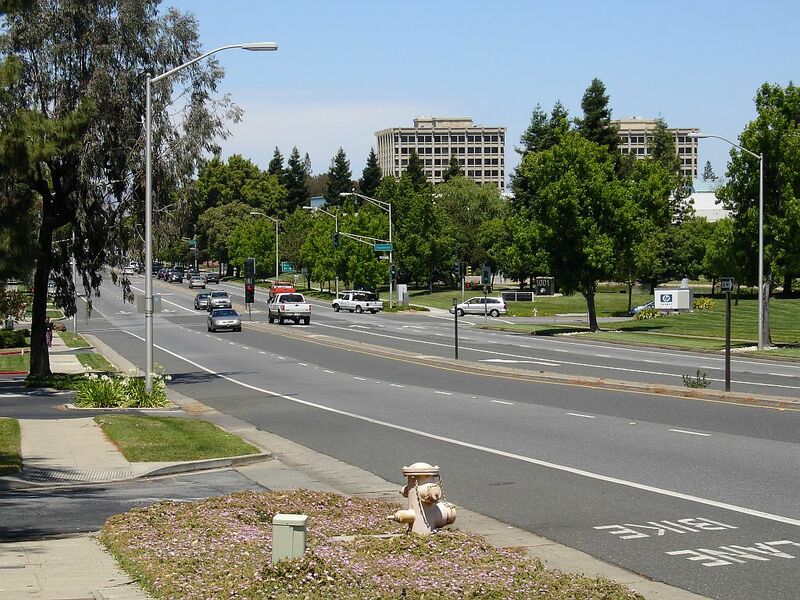 The present day locations are about one-half to one mile to the south in what is known as the Stanford Research Park just across the road from the Stanford University Campus. 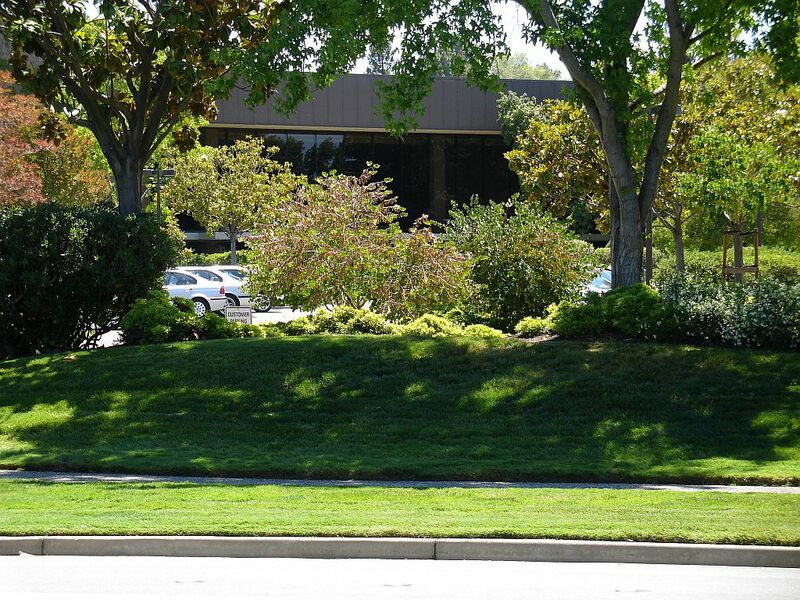 As you can see in the pictures, each building is surrounded by beautiful trees and nature. This extends back into areas I can not show. There is a very peaceful atmosphere around all of the buildings. That has to be highly inspirational. This is the front of the old headquarters built in 1957 at 1501 Page Mill Road. 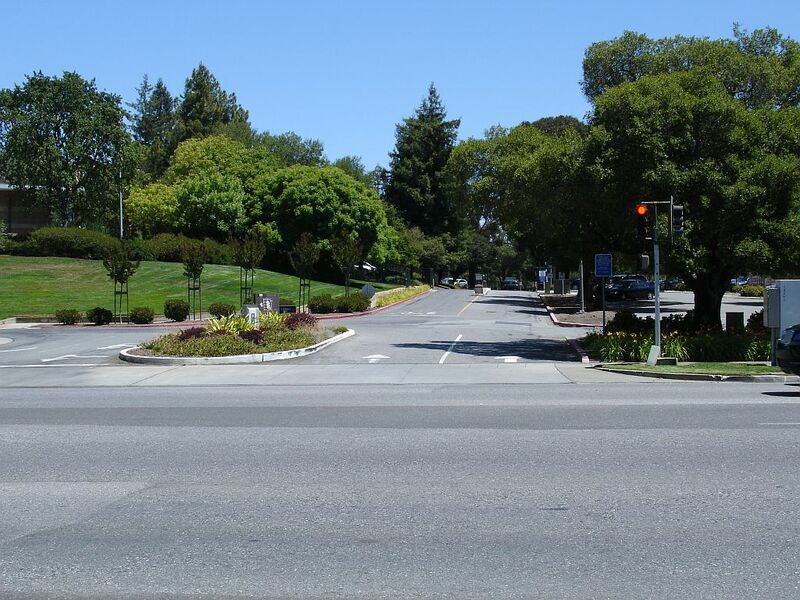 The intersection is one of the eastern entrances to the Stanford University campus (behind me). You can see the famous sawtooth roof which was designed for maximum solar lighting as all of these buildings face North to within one degree -- thus the sun is always shining on the skylight. There is a huge array of buildings behind this one with many acres of floor space. Use Google satellite view of this address to how vast the complex is. Each building one acre in size. The preserved offices of Bill and Dave are in the next building behind this one. 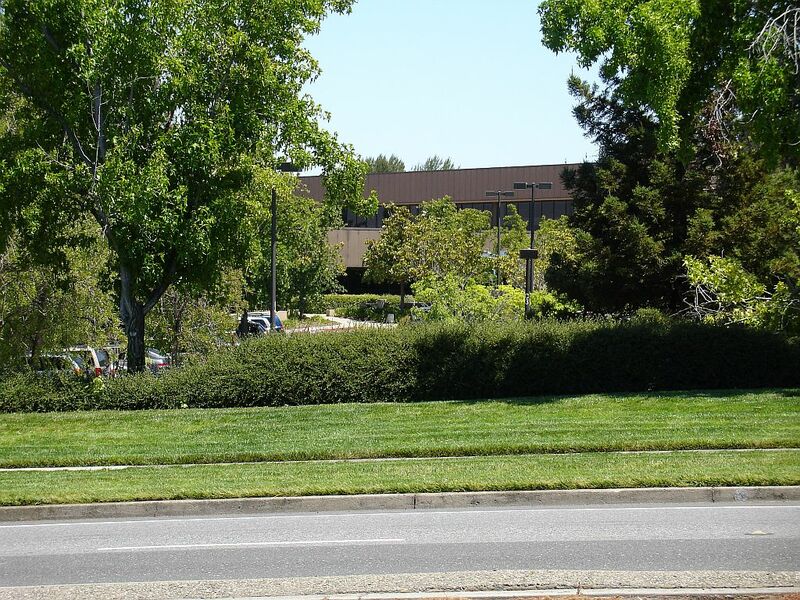 The original HP logo is on the side of the building and now is mostly obscured by the tree. This is at the top of what is known as Page Mill hill. This view is just to the right of the view in the previous picture and you can see the main entrance to the old headquarters. 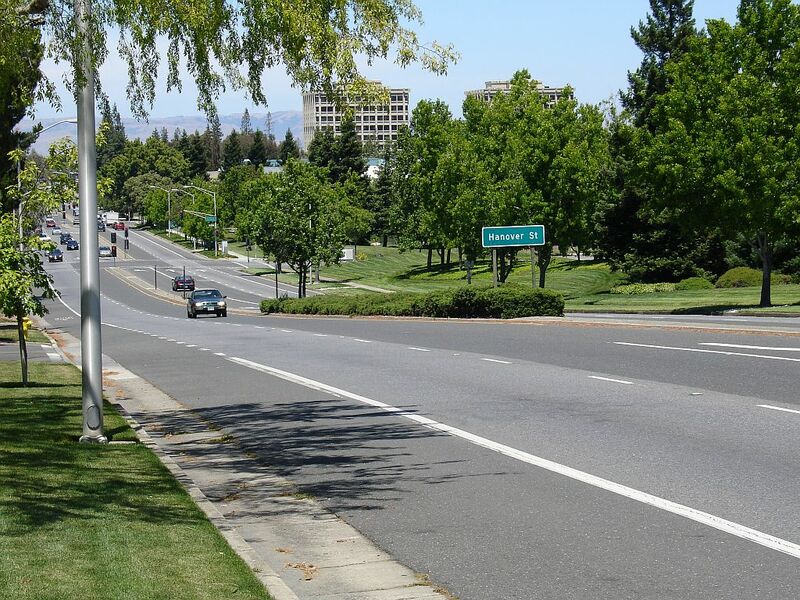 HP Labs is located here. This is a side view as seen from the sidewalk along Page Mill Road of the building showing the original HP. This is about the best view one can get now from the road. 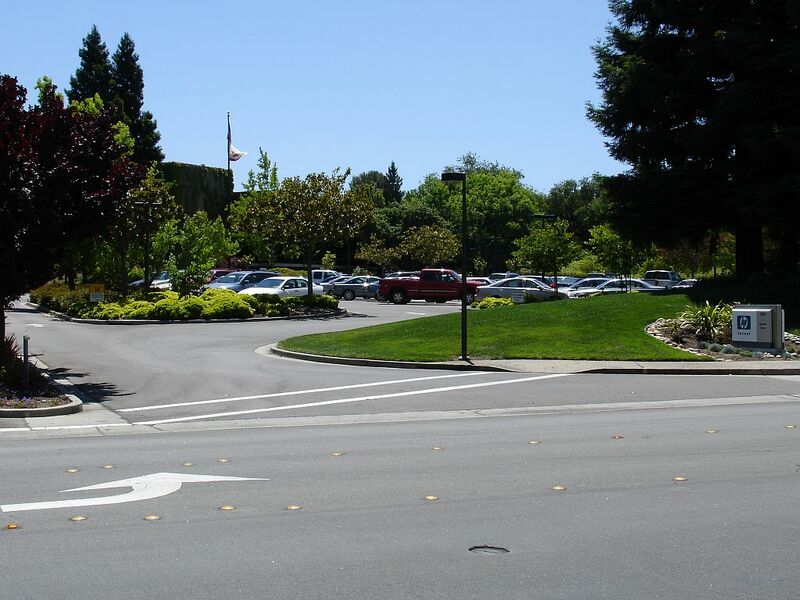 Looking down Page Mill Road from across the street of the entrance to the old headquarters. This is known as Page Mill hill as you can see. 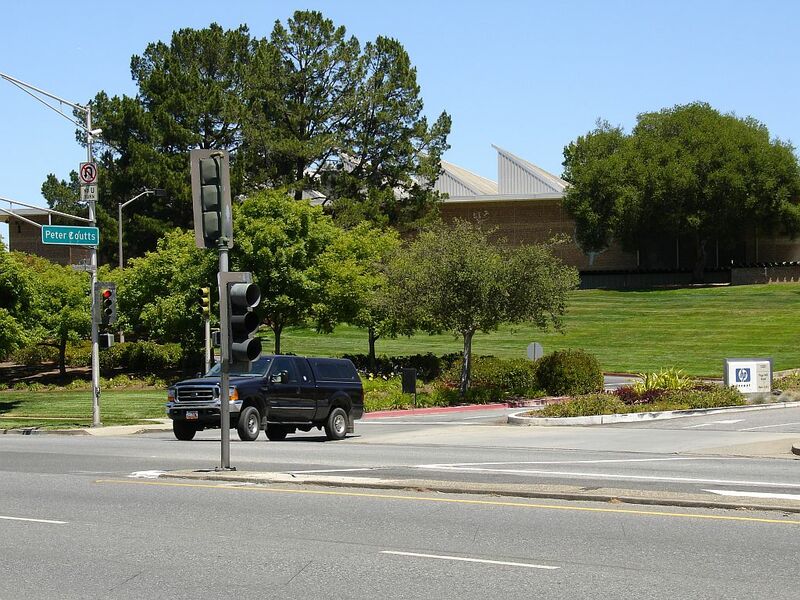 The new headquarters is not visible but is to the right at the intersection at the bottom of the hill. A few blocks further down the road on the right but not visible in the picture are the first locations of HP on Page Mill Road. The mountains are across the San Francisco Bay which is just a short distance past the last trees. 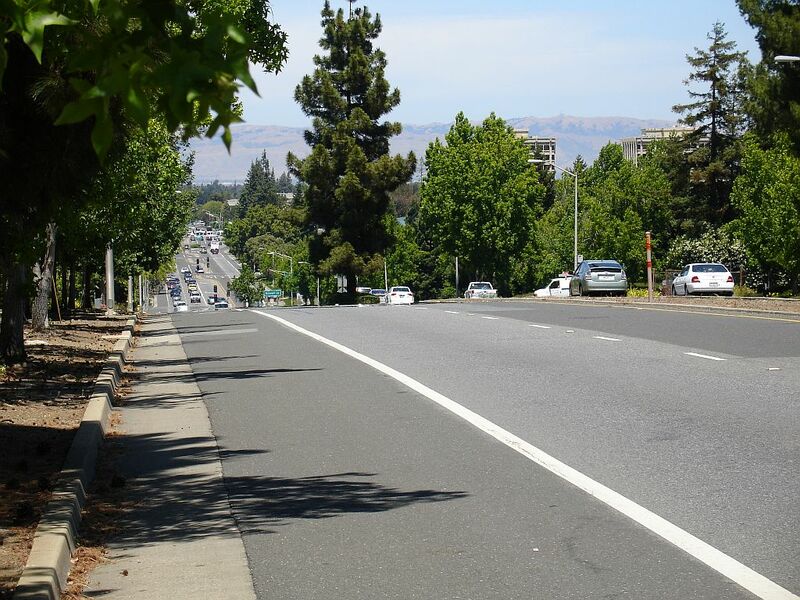 A view of Page Mill Road just up the hill from the present HP headquarters. 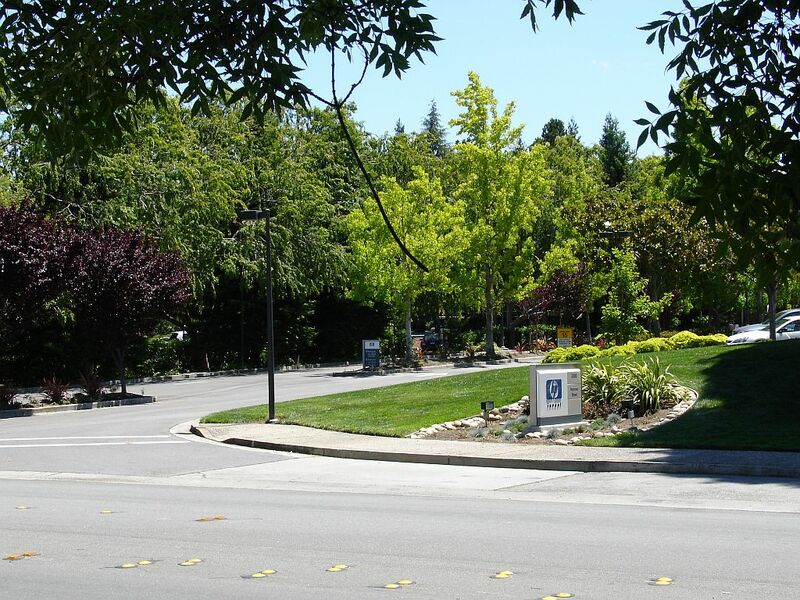 The headquarters complex is well hidden behind the trees on the right. 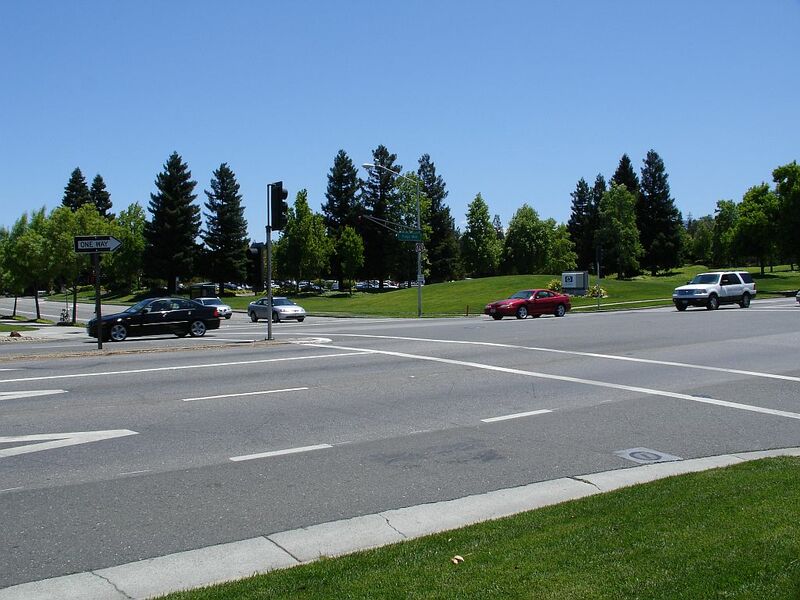 The HP headquarters is to the right of the intersection of Page Mill Road and Hanover. A tree obscures much of the white HP sign on the right. To the right you can see a corner of the first parking lot in front of building 20A. The intersection of Page Mill Road and Hanover going to HP headquarters. Notice the small HP sign. This is the main entrance. The HP headquarters on Hanover as seen from across Page Mill Road. You can see the main sign and the main entrance to the first parking lot in the upper left of the picture. A close view of the intersection at Hanover showing the main HP sign. The main entrance to Building 20A off of Hanover which is about two to three hundred feet from the intersection at Page Mill Road. Another view of the main entrance to building 20A. A view of the front of building 20A. There is a large lobby in front and a large room to the right where two associates and I gave presentations of our historical work to the HP Retired Employees Club on June 4, 2007. There are two more buildings connected to this one going up the hill but they are not visible. The side of building 20A as seen from Page Mill Road. Most of the building is hidden by trees and there is only one spot along Page Mill Road where the building can be seen at all.